Firstly Toonocalypse has been selected for Cut Out Fest. 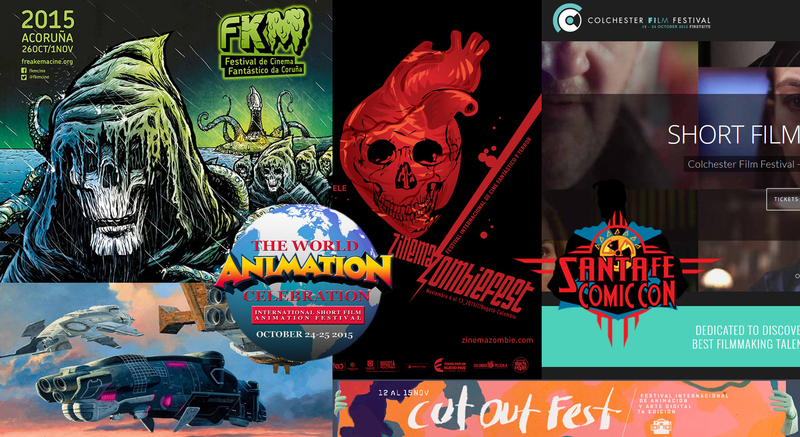 Cut out fest is Mexico’s largest celebration of animation and digital art. Secondly we have been selected in the Sci-Fi/Horror Shorts section of the Colchester Film Festival. Thirdly we have been selected for the FKM Sci-Fi and Fantasy Film Festival in Galicia, Spain. Fourthly is the Zinema Zombie festival of Fantasy and Horror films in Colombia. Fifthy we have been selected for the Santa Fe Comic Con, our second Comic Con so far! And finally the Animation World Celebration in LA. We have a few more coming up, but for now that is all we can announce. Also, you can check out our latest video diary from the Warsaw Film Festival below.